$90 is the average price paid to purchase a human life in modern day slavery. In 2013, I took part in Red Light Film and Art Project’s Show “Redeeming the Discarded”, a great event that benefited The Salvation Army’s ProjectFIGHT. Project FIGHT (Freeing Individuals Gripped by Human Trafficking) provides case management for victims of human trafficking found in North Carolina, and works to generate education and awareness about human trafficking in the community. This year the event takes place September 5, 2014 from 6-10p at Cobblestone Hall in City Market (215 Wolfe St, Raleigh, NC 27601). As part of the event, there is a silent auction, with 100% of the proceeds of the auction being donated to ProjectFIGHT. Additionally, each artist is given the opportunity to display and sell works in the general gallery. Here are some of the Slobot works that will be presented in the Silent Auction and gallery… I am contributing both 2D and 3D pieces for the event. Orange with Gold Glitter Robotic Protector. He has a super bright glow in the dark eye and wires to help dispel the darkness. From the event hosts – “JUST ART is an annual event that uses art, film, and music to raise awareness of human trafficking and raise funds for Project FIGHT, the Salvation Army’s anti-human trafficking program. In 2012, JUST ART attracted nearly 400 people and raised over $4000. In 2013, JUST ART attracted nearly 600 people and raised over $11,000. 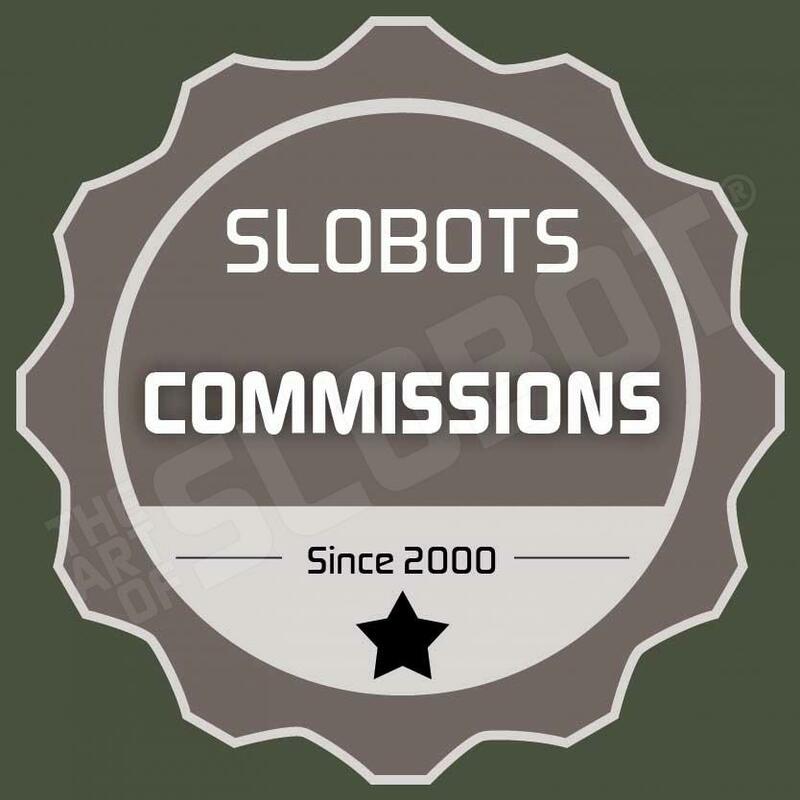 The Slobots are always about helping people, and we feel strongly that any form of slavery is wrong. If you are in the Raleigh area on September 5, 2014, please come out and support this worthy cause. The Orange with Gold Glitter Robot Protector view from the back. Also in the silent auction is Box Bot in Gold. The robot painting Number 5 in Orange, Blue, and Violet is a new type of painting for Mike Slobot that combines both two dimensional painting and three dimensional sculpture. Crafted of wood, resin, and found objects, this one of a kind painting is approximately 12″ wide, 16″ long and 4″ deep with a large glow in the dark and glitter finish eye, glow in the dark wires, and a hand the hangs off of the bottom edge of the wood surface.